Good morning everyone and Happy Saturday! I hope wherever you are, you have some lovely plans for the day ahead? Whether that’s staying in or going out, I hope you’re feeling good. I wanted to do a post today on some updates about the creation of the first print edition of Happy Magazine (and share a closer look at the cover!). 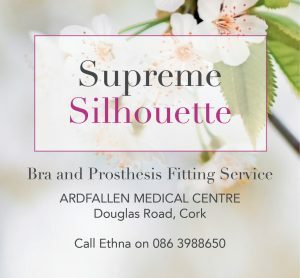 It’s been awhile now since I announced it online here that it was my intention to launch a print edition for all the hospitals in Ireland with cancer treatment centres. Well, things have been going great so far and the last few weeks have been very exciting. So. Where are we in the plans? Well, the great news is, the print magazine is definitely happening! I feel well and truly committed (in a very positive way) to making it happen, and I know for sure now that I will make it happen. The launch of my search for relevant and responsible businesses to buy advertising in the magazine has gone really well so far. I now have confirmed bookings from 10 businesses – almost enough to pay for the printing of 10,000 magazines! 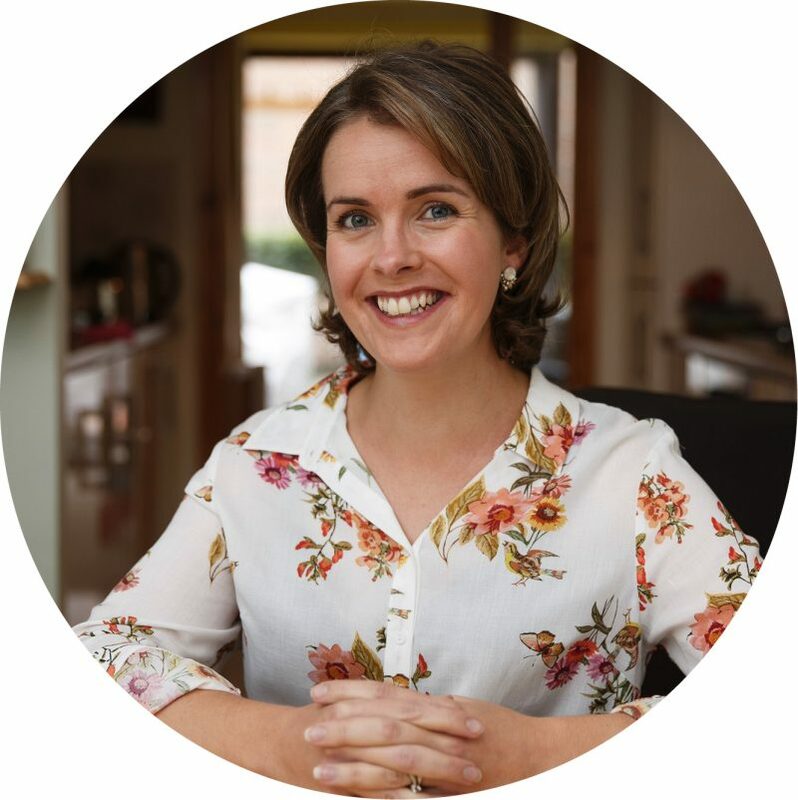 The magazine itself is well underway – it is 85% complete – written and designed – and it has been such a positive and inspiring project for me to work on these last couple of months. The first issue has some of the best content I’ve had so far online here on the website, re-designed for print and looking better than ever. 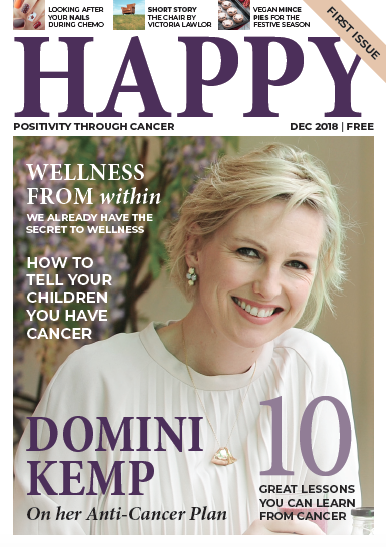 There are features, our cover star interview with Domini Kemp, sections on Natural Beauty and Wellness and lots of articles on self-care, how to look good and feel better during cancer, survivor’s stories and much more. The magazine will be A4 size and between 60-70 pages. Do you know a business that might like to advertise or sponsor Happy Magazine? Now I am into the next phase of the project – the final push for more advertisers and hopefully one title sponsor – to ensure we have enough money in the pot to pay for everything needed to get the magazine printed and distributed all over the country. So, I have a little question for you all out there. If you know a health/wellness business or other relevant business that might be interested in advertising in the first issue of Happy Magazine, please let them know about us or indeed, leave me a comment below and we will reach out to them. 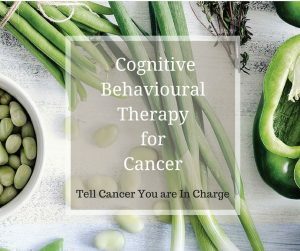 Or, if there is a new product or service that you have discovered as a result of your own cancer experience that you think is worthwhile sharing with others, please let me know that too, below. Finally, as I mentioned, we are looking for one title sponsor for the magazine. A big company that would like to have their logo on the cover of the magazine and be listed in all our press and social media (and on our website) as our main sponsor/supporter to make the magazine happen. If you work for or know of a large company that could possibly be interested in taking this role, please let me know by popping me an email to holly@happymagazine.ie and we will get in touch with them. 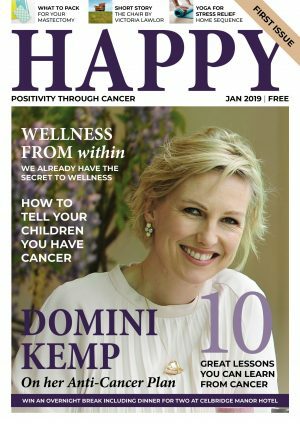 It is very important to me that all the advertising in Happy Magazine is either responsible advertising relevant to a cancer experience, or a responsible business that wishes to support the magazine as a philanthropic/corporate social responsibility/community initiative. I also have a strategy in place of only accepting one business type per issue, i.e. so one natural skincare brand, one wig company etc, this is to give each advertiser maximum exposure so their brands are not diluted in the magazine amongst their competitors, and also so readers are not overwhelmed with lots of businesses offering the same product/service. As such, some business types are already sold, for example, the natural skincare position and the wig company position, but, I hope this does not put off potential advertisers who may still like to advertise on our website during launch month or indeed in the second print issue. The first edition of the print magazine will be launched this November. The magazine will be dated for December. It will be distributed to all the major hospitals in Ireland that have cancer treatment centres. If you are reading this and you happen to work in a hospital or relevant cancer treatment/cancer support centre and you would like to have the magazine in your centre, please do let me know and I will make sure we will be sending it to you. We need all the help we can get in each hospital/centre to ensure the magazines are allowed in and reach the right areas of the hospitals to be seen by people going through cancer. And that’s it for now! That’s what’s been happening here in the background over the last few weeks – many, many emails bouncing around! Thank you all so very, very much, for supporting the magazine, for coming here every day to see what’s new, and I really, really hope you are enjoying it. Holly not sure if a pharmacy is what you are looking for but Oonagh O’Hagan Meaghers Pharmacy is such an amazing lady and beautiful person. She meditates 2x a day so she is very au fait with alternative therapy and wellness. I’ll make contact with her if you like…i don’t know her very well by think she may be worth chatting too. Brenda that would be amazing. I need all the help I can get 🙂 A Pharmacy would be great. We don’t have one so far. Please let me know if there’s anything I can do? Congratulations and very well done. There is a great pharmacy group in Blesso and Baltinglass, they are great for backing community initiatives etc. MC Greals pharmacy. They might take out an ad. Hi Violet! Thanks very much. I’ll give them a try!